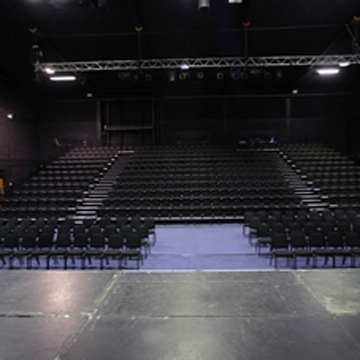 Town Hall Theatre Galway, incorporating the state of the art 400-seater Main Auditorium and the 52-seater Studio Space at Courthouse Square. The nearby, multi-purpose Black Box performance space on Dyke Road where we present an extensive and eclectic mix of theatre, concerts, musicals, dance, film, comedy and family shows year-round. Our three venues are open 362 days a year and 15 hours a day on average and attract audiences in excess of 100,000 annually (close to 2 million since we officially re-opened on 1st February 1996) making us the most successful theatres of our size in Ireland.